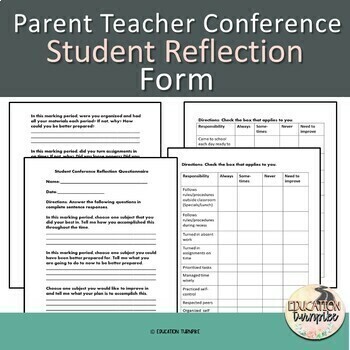 When you meet with parents at conference time or need students to reflect on their work and behavior prior to a parent/teacher meeting this document can help you. 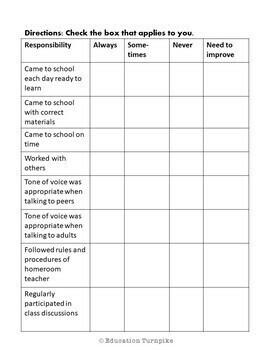 You can use this for talking points during the conference or meeting to discuss student progress in your class. 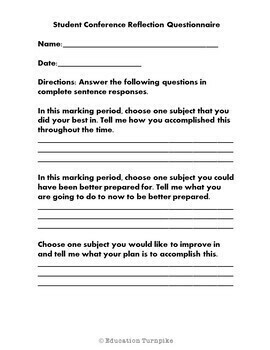 This document includes some short answer questions and checklist just for your students to complete. It should help them truly reflect on their progress in school.